Kitty Brew Cafe – Have a cup, save a life. Have a cup, save a life. Kitty Brew Cat Cafe has tasty drinks and adoptable kitties. 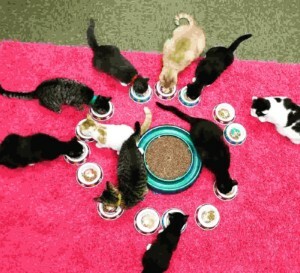 Kitty Brew is Southwestern Ohio’s first cat cafe! We serve locally roasted, fair trade, organic coffee from Seven Hills Coffee! Our goal is to provide the best customer service while finding homes for rescue cats. 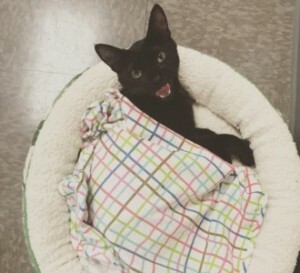 Currently, Kitty Brew works with four local rescues to find cats their forever home. Animal Friends Humane Society, Paws Cause, Hart of Cincinnati, and His Hand Extended Sanctuary trust us to care for their cats while they wait for adoption. Kitty Brew can help save lives and help alleviate space issues at local rescues. Kitty Brew maintains a fun and relaxing environment for our customers and our free-range cats! Whether you are looking to adopt a cat or a way to relax after a stressful day on the job, Kitty Brew can help! In order for Kitty Brew to keep its doors open and to provide for the cats, there is a $10 fee to enter the Cat Lounge. We do have special rates for veterans and students! Reserve a spot in the Cat Lounge!